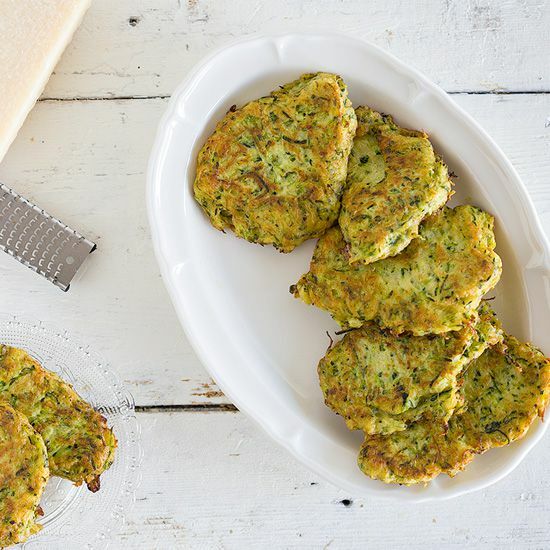 These zucchini fritters are delicious as a snack with a refreshing dip or serve as a side dish for lunch or dinner. Very versatile! RINSE the zucchini and remove the ends. 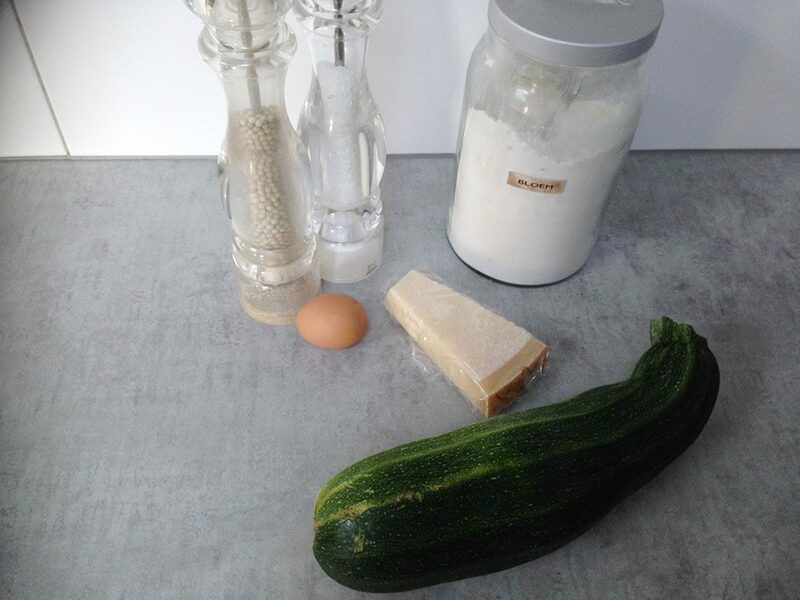 Finely GRATE the zucchini and transfer to a cheesecloth or clean kitchen towel along with some salt. Salt extract moisture and you’ll need to squeeze as much moisture out of the zucchini. 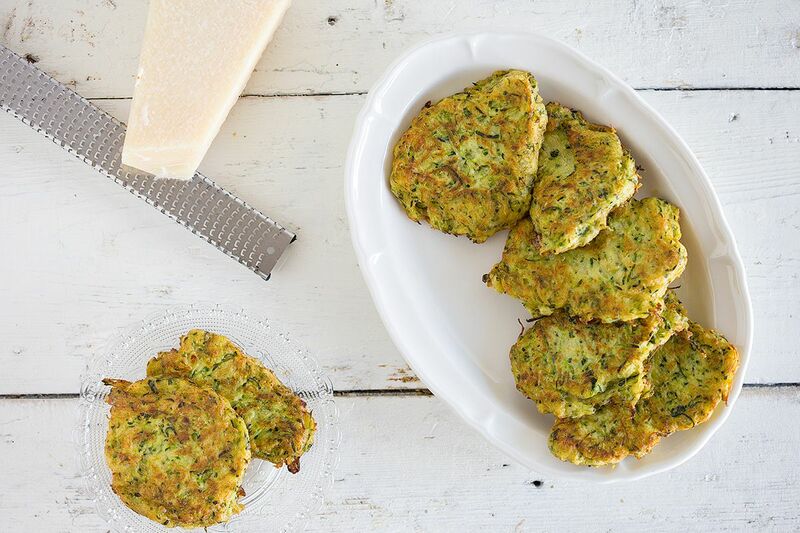 As soon as you’ve done that, transfer the grated zucchini from the cheesecloth to a medium-sized bowl. 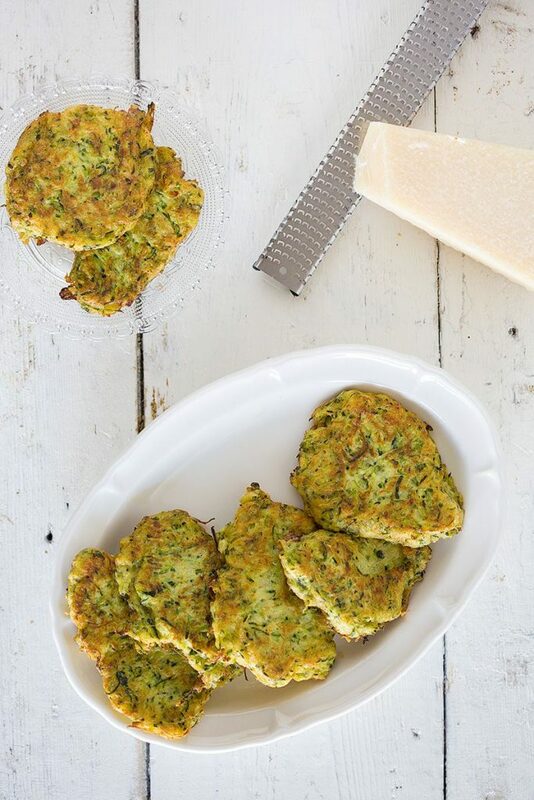 Finely GRATE the cheese and combine with the zucchini along with the egg and 2 tablespoons of flour. SEASON with pepper and salt and heat a large skillet on medium-high heat. ADD a knob of butter and use 2 spoons to divide the batter. PRESS it downwards and cook for a few minutes on each side, until it’s beautiful golden brown. REPEAT until all the batter has been used and transfer the fritters to paper kitchen towel to drain the excess butter. Enjoy!